EBOT is encouraging holiday shoppers to buy early and give to those in need. Participating merchants will “pay it forward” by donating 20% of evening proceeds to The Shoreline Soup Kitchens & Pantries. 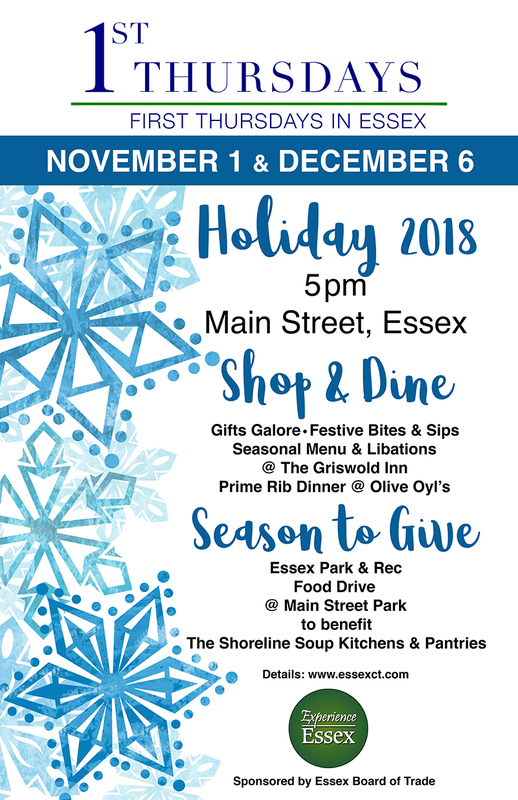 In addition, Essex Park & Recreation will generously host a Food Drive at Main Street Park from 5-7pm; non-perishable food donations will be loaded onto a truck for immediate delivery to The Shoreline Soup Kitchens. Finally, restaurants will be serving up seasonal menus and libations, so invite someone you’d like to extend a thanks to and treat them to an enjoyable meal!